Showers will occur at times in Eastern, Uva and North-Central provinces and in Hambantota district. Showers or thundershowers will occur at several places elsewhere except Northern province particularly after 2.00 p.m. 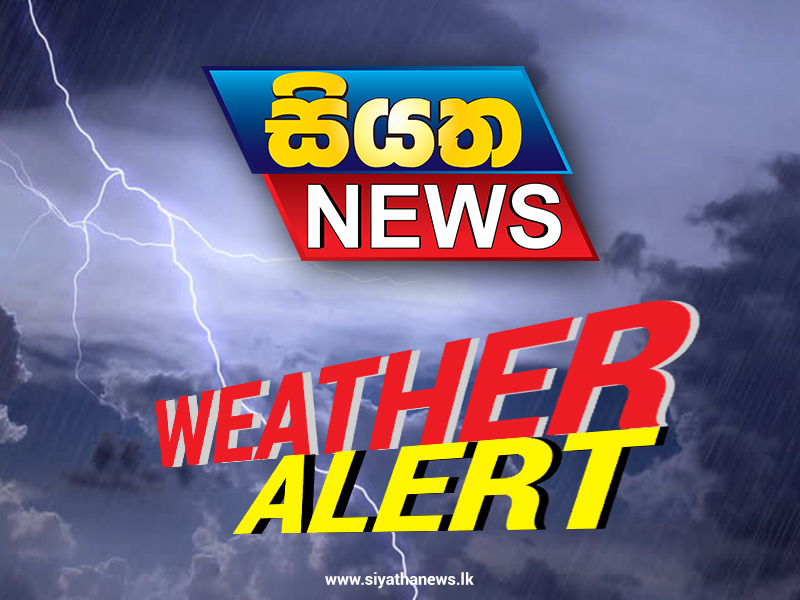 Fairly heavy falls above 75 mm can be expected at some places in Sabaragamuwa, Western provinces and in Galle and Matara districts.